These ducted electric heaters can be ducted to direct the warm air produced to the required areas and are designed for being operated in workshops, nurseries, shops, exhibition rooms, warehouses, site huts, or elsewhere on building sites. There, they provide comfortable heat in spring and in autumn or if there is a sudden onset of cold weather. They can be used as frost control, too. The electric fan heaters do not use up any oxygen. They do not give off any unpleasant smell at all, so they can also be operated in rooms which have bad or even no means of ventilation. They are ready for use everywhere and at once. Temperature can be adjusted and is controlled by a thermostat. In summer, they can be used for ventilating rooms as well. All of our ducted electric heaters are VDE checked and thermally protected. The enclosed heating elements have got a stainless jacket, the boxes consist of galvanized steel sheet and, in addition, they are stove-enamelled. 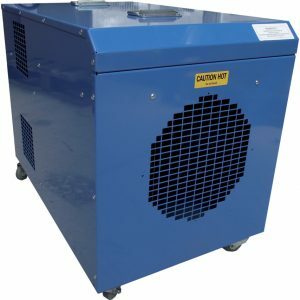 They are well built and made to last, as you would expect from a Germany made ducted electric heater. Thanks to their small dimensions, these ducted electric heaters can be taken everywhere. You will find a place for them even in very confined space. Model E18 now also available as version “SH”, “S” for hose connection and version “H” for operation at high room temperatures for special duties such as thermal pest control. 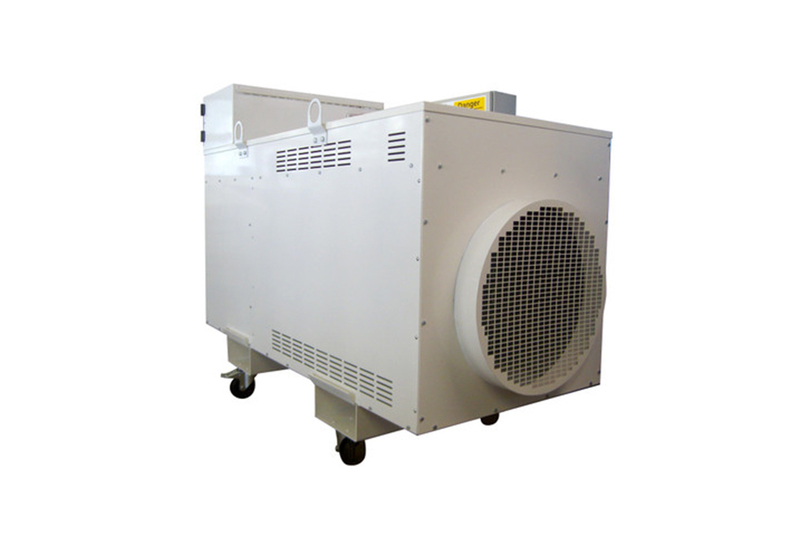 A very powerful 32A heater that offers 29kW of sensible heat. 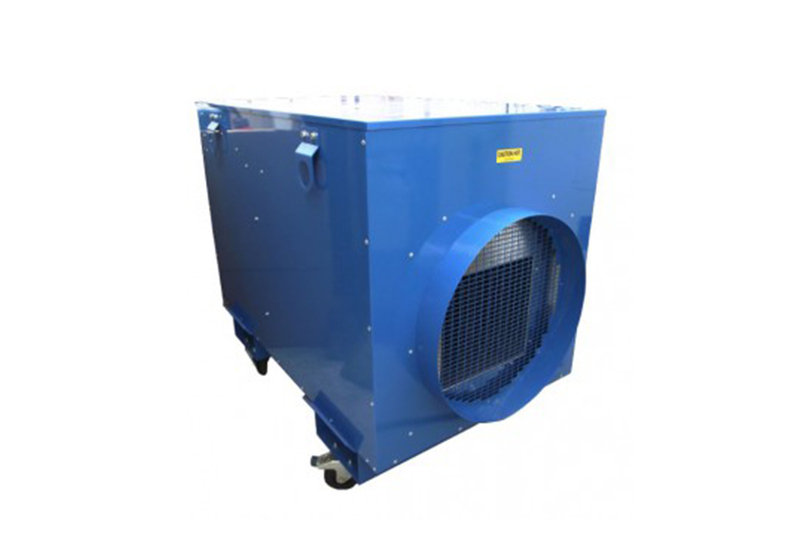 Designed and built to withstand the rigours of regular site use comes complete with features including an adjustable thermostat, over temperature protection and lockable castors while the optional single and multiple outlets allow the FHE29 to deliver warm air either along up to 10Mtrs (maximum) of ducting via one 250mm diameter spigot or to up to 4 separate areas, via the 4 x 150mm diameter spigot option . A clean, odourless and fume free alternative to gas and diesel heaters. 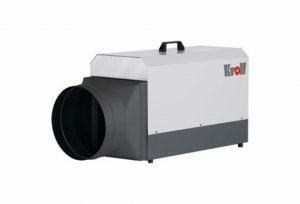 The most powerful 63A heater available, which can be ducted up to 30 Metres . Designed and built for industrial use the FHE42 features variable heat output, 24 Volt control circuit for safety, remote thermostat socket, spigot, over temperature protection and an auto run on as standard. Should you require anymore assistance or information on our Ducted Electric Heater / Ductable Electric Heaters please don’t hesitate to contact our sales team on 01202 822221 or click here for our email contact form.